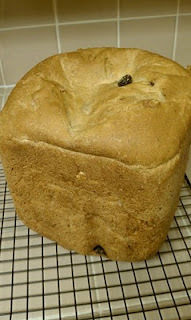 I love my bread maker, though I confess it is very rare that I lug the huge appliance from out of the dusty cabinets. But when I do the entire house is in for a treat! There is nothing better than the smell of fresh bread baking! I'm in love with the aromas and can't wait to sink my teeth into it's goodness! 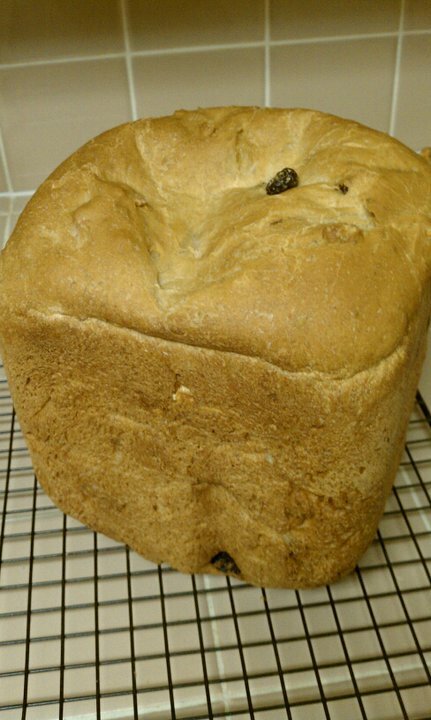 Today I will share my favorite bread box sweet bread recipe. And voila you have the photo above! It takes about 3 1/2 hours to make but you don't have to do any of the work. Just add the ingredients into the bread maker and turn it on! When the bread is finished take out carefully. Release the bread from the box and let it cool on a wire rack for 20 minutes before cutting. Note: Be sure the bread is completely cooled (approximately 1 hour) before storing in an airtight container or plastic wrap!